Tesla’s emergence in electric car industry has changed the landscape. Electric cars are becoming a cool quotient in auto industry. Why do we need electric cars? Rising greenhouse gas emissions has increased the average global temperature in the world. Electric cars is a better alternative as compared to fuel run cars. They are environment friendly because they run on electricity generated by electric motor powered by battery. The mission of Tesla is “To accelerate the advent of sustainable transport by bringing compelling mass market electric cars to market as soon as possible”. Tesla designs, develops, manufactures and sells premium high performance fully electric vehicles and advanced electric powertrain components. It has produced three cars till now-Tesla Roadster, Model S sedan, Model X SUV crossover. Model S and Model X are best selling cars in American Market. 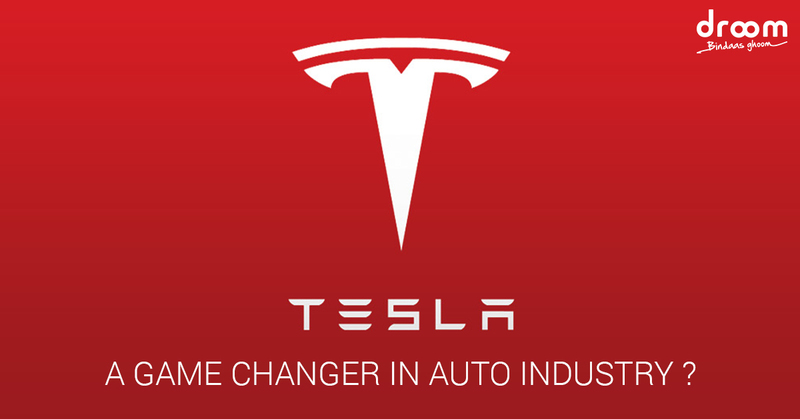 Tesla is the pioneer in transitioning Lithium ion battery technologies to automotive industry. To produce electric vehicles on a large scale, it has set up a Gigafactory for worldwide production of batteries. Gigafactory will produce batteries for significantly less cost using economies of scale, innovative manufacturing, reduction of waste, and the simple optimization of locating most manufacturing process under one roof. The new car Model 3 is Tesla’s master plan to build an electric car priced for the mass market with the driving range, styling and brand power to hold its own against some of the world’s best-regarded carmakers. The car uses new battery architecture and motor technology. Tesla has created its own network of Supercharger stations—places where drivers can fully charge their Tesla vehicles in about 30 minutes for free. These new initiatives by Tesla will transform the niche market of EV’s to mass market for cleaner future.